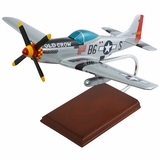 Pilot Gift – At Tailwinds, we love gifts that are not only attractive but also provide a useful function like this Airplane Shaped Letter Opener. The letter opener is nicely edged so the user can easily slide in the blade and effortlessly open the envelope. Even better is the striking shape of the letter opener. The airplane shape had good weight, and with a roughly 3 inch wingspan it smoothly fits in a hand. 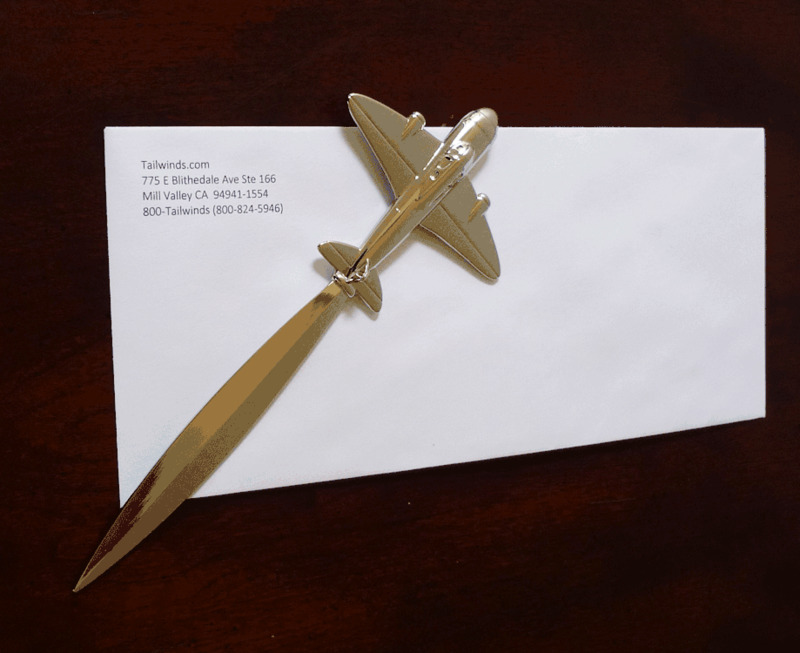 The Airplane Letter Opener is handsomely nickel platted and tarnish resistant. This is such an awesome site; I have a friend who is an ex-pilot, and I purchased the opener as a Christmas Gift for him. Everything about this purchase was so simple & worry free; from the options on your site to checking-out with my purchase. 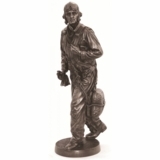 Thank you for offering this site; it is truly a fun place to shop....and I'm not even a pilot lol. ProsLovely and shiny letter opener, and very sturdy. Excellent craftsmanship; so worth the purchase. I am excited for my friend to see it !